When it comes to the modern Asian fare at Sunda, you could never accuse the Melbourne CBD eatery of being boring. Especially with dishes like vegemite curry on their menu. Yes, you read correctly. Curiosity won out over apprehension (and that’s really saying something seeing as I’m not the biggest fan of Vegemite to begin with) but I was surprised to find that the dish was well balanced in both the flavour and texture departments, with the Vegemite presence definitely detectable, AND still left quite a tasty impression. Particularly when paired with the crispy and airy light roti. 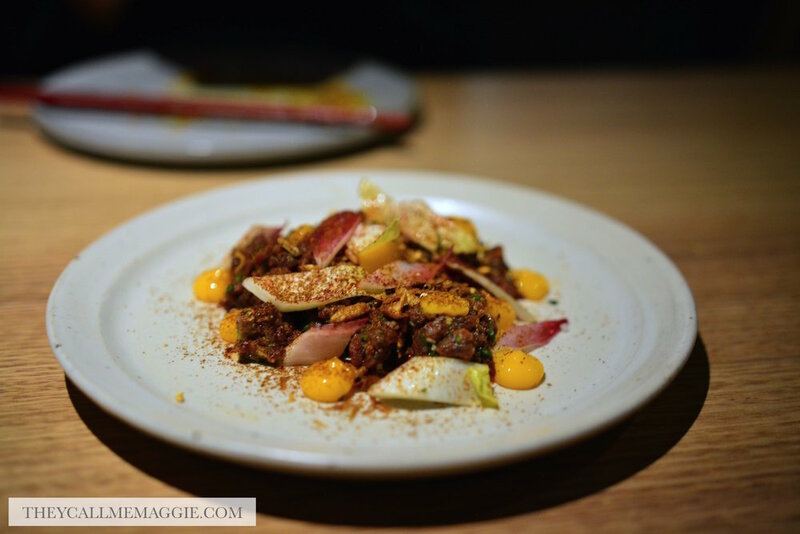 While not as obvious as that first example, other dishes like the otak otak and cured kangaroo further highlighted the daring and inventive flair of Chef Khanh Nguyen. And he pulls it off. We paired our order of the silky smoked eggplant with a ‘side’ of egg noodles; its serving size perhaps more deserving of main status. Sticking to the nature of any good ol’ noodles dish, this one oozed of oily and hearty comfort. 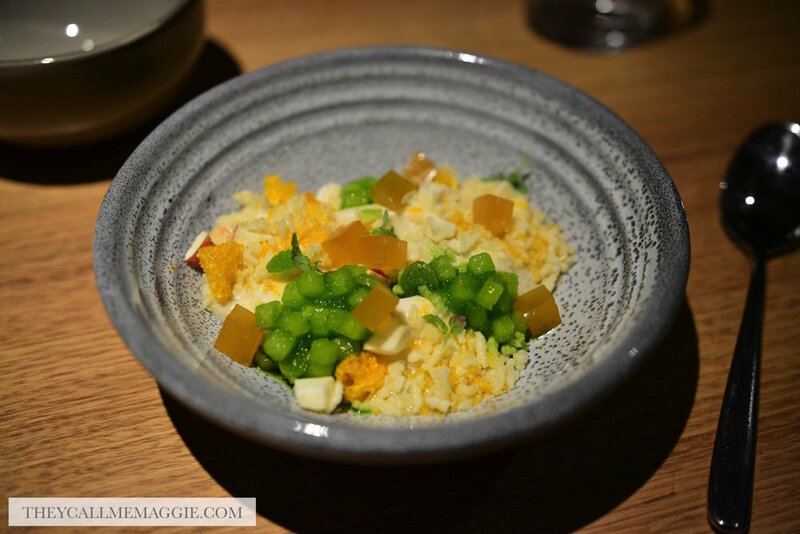 We dug deep and squeezed in the Jasmine rice cream dessert to share, and were rewarded with a light, cleansing flavour palette of apple, mandarin and zesty desert lime. Pie tee - with whipped egg custard, salted vegetables and chilli bean. Vegemite curry - with roti. Otak otak - spanner crab curry, finger lime and rice crisps. Cured kangaroo - with witlof, smoked egg yolk and toasted rice. Smoked eggplant - with davidsons plum, cauliflower and fermented coconut. 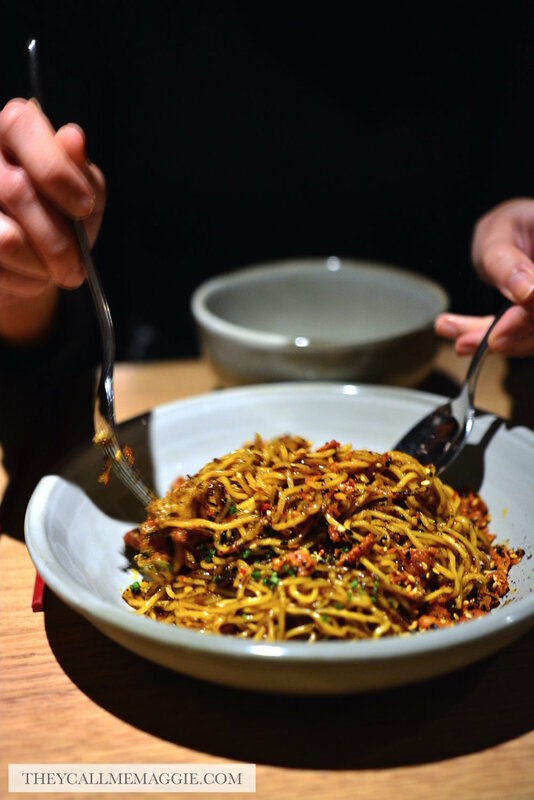 Egg noodles - with XO sauce, chicken crackling and pepperberry. Jasmine rice cream - with apple, desert lime and mandarin.